There are four interactions available with this mod. Only available when a sim has dried food (custom edible food) in their inventory. All dried food will immediately be moved from the sim's inventory to the treasure chest's inventory. Only available when dried food is present on the lot. Sim must be on the same lot as the treasure chest. All dried food on the lot will immediately be moved to the treasure chest's inventory. Only available when a sim has dried food in the family inventory (buy mode). All dried food in the family inventory will immediately be moved to the treasure chest's inventory. Additional Credits: Inge Jones, Orangemittens, twallan, treeag, all custom edible food creators. 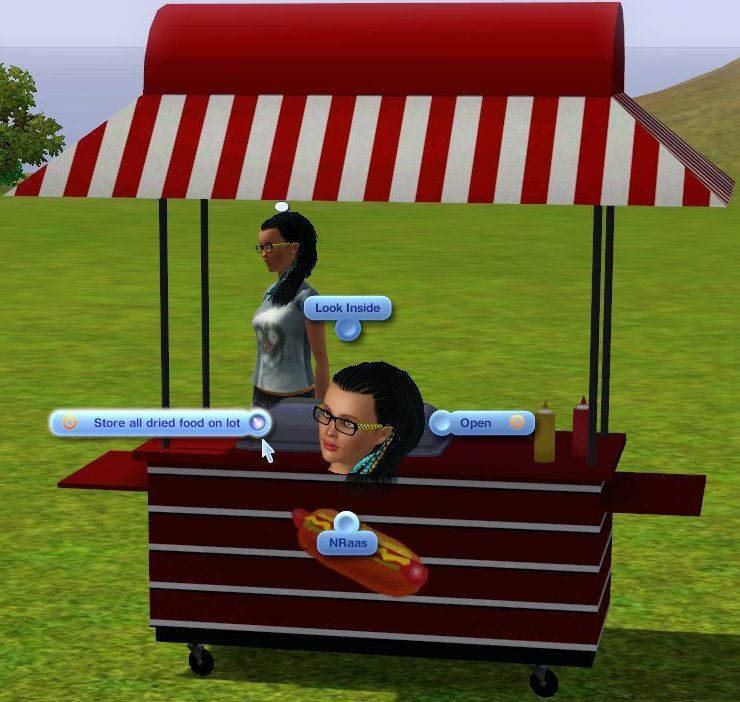 Hot dog stand pictured above available at Around The Sims 3.